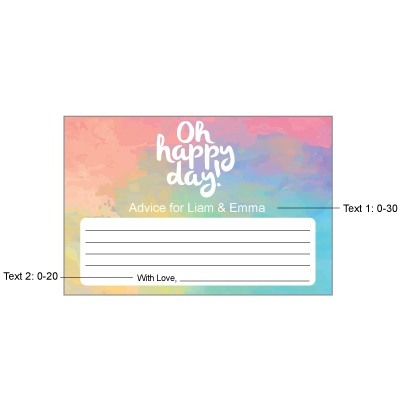 Q:Hi. 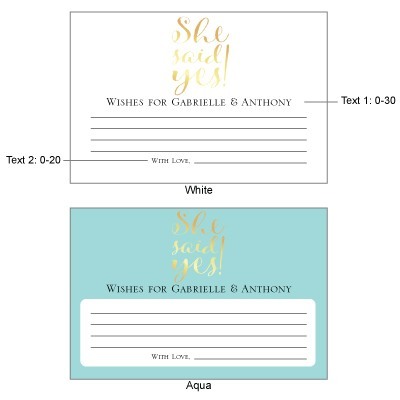 Our shower is on Saturday May 28. 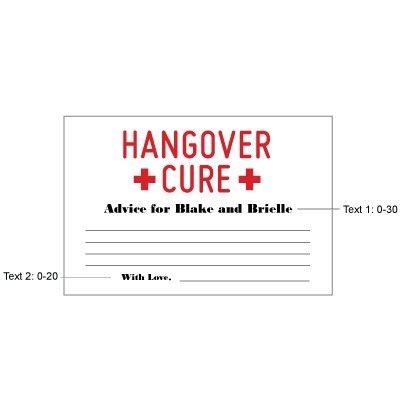 I would need them before that. 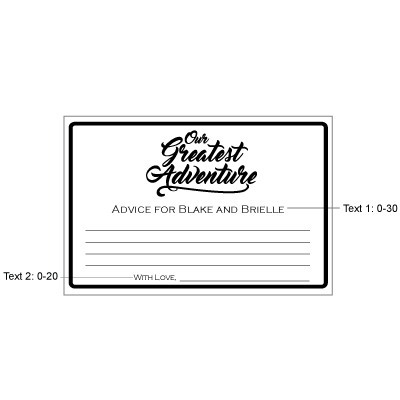 The advice cards are completely printed out with the text and lines , correct? 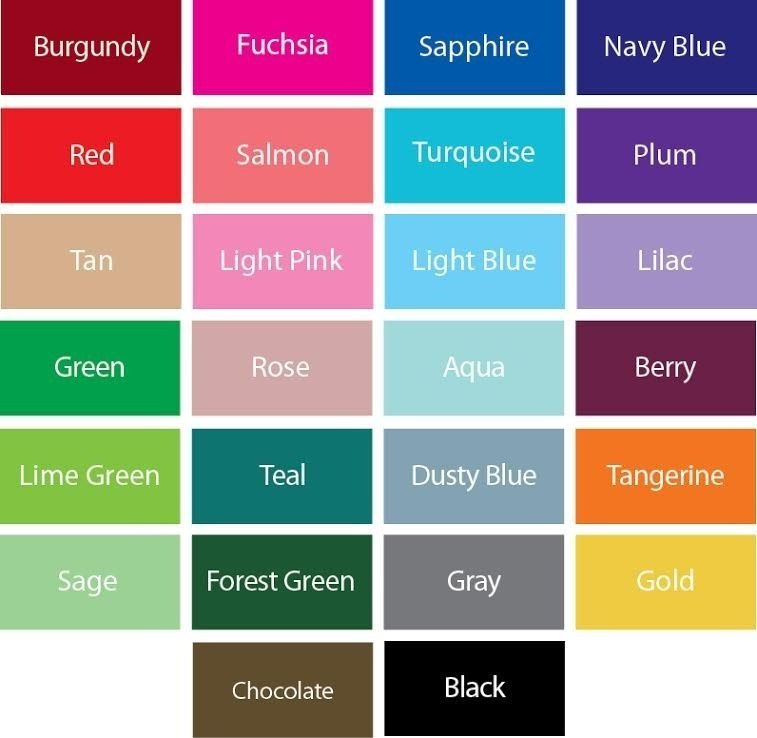 I've seen others that I would have to print out they my computer. 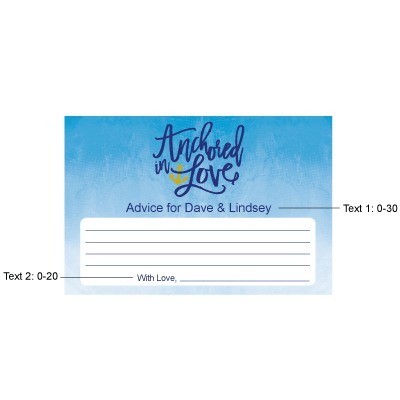 I'm not interested in that. 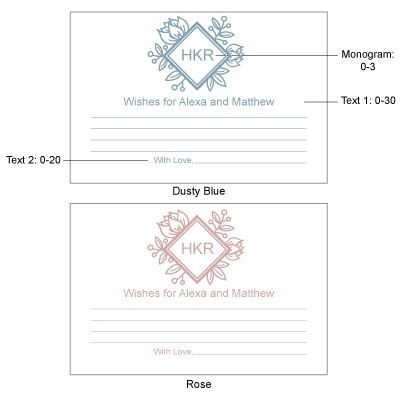 I want the cards to be complete when delivered. Please email me if you have any questions with my above note. 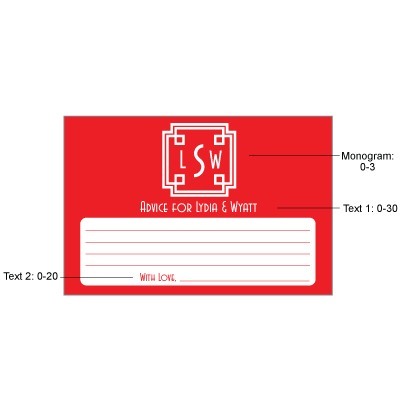 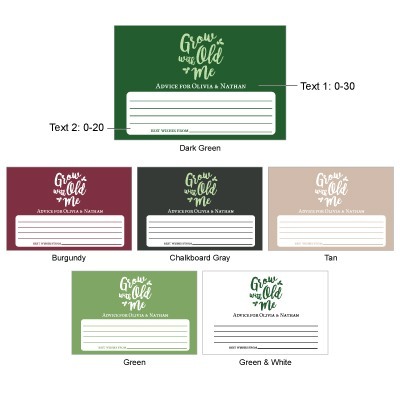 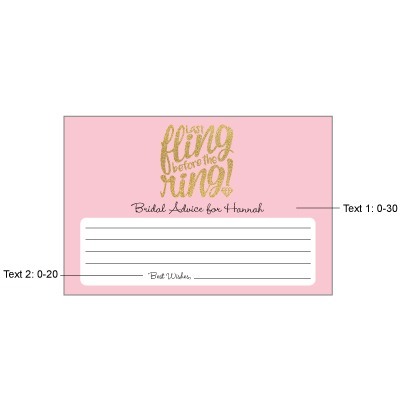 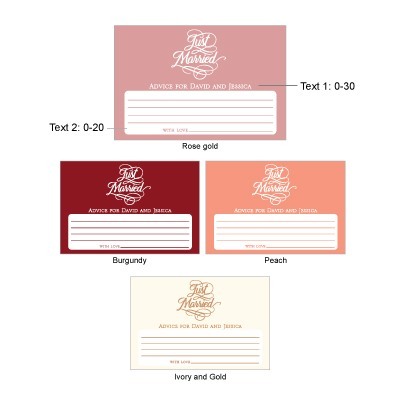 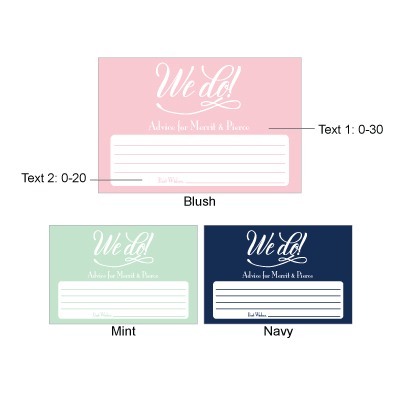 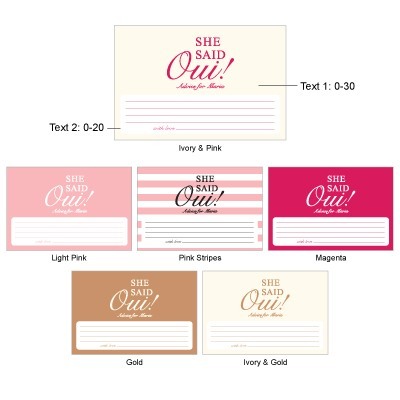 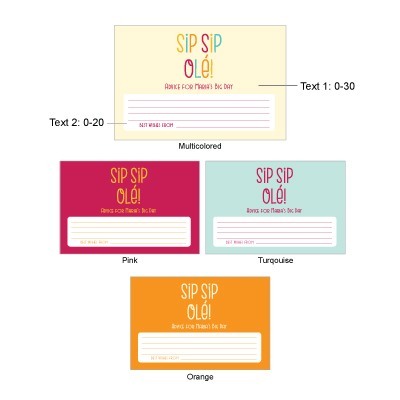 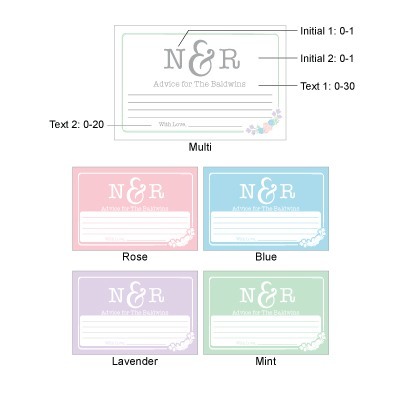 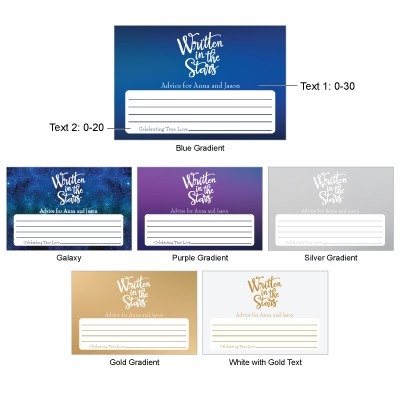 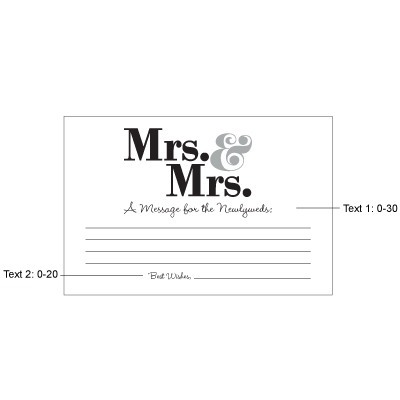 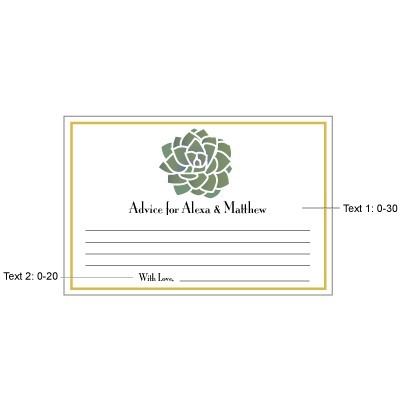 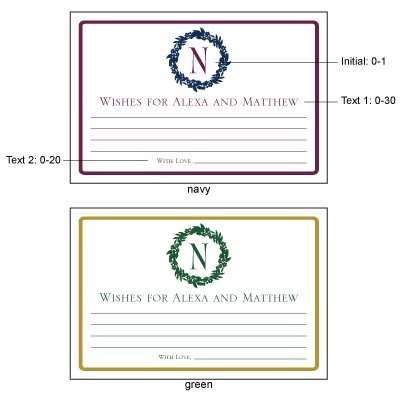 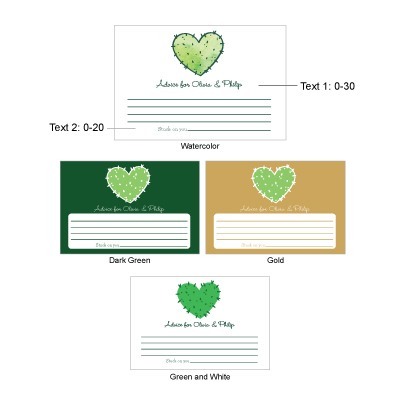 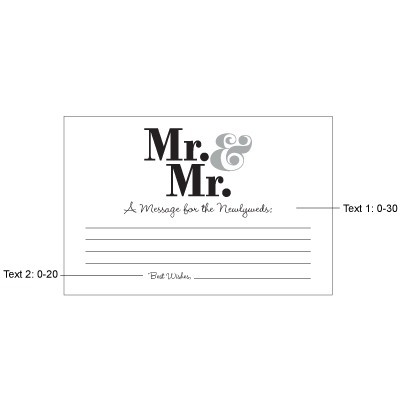 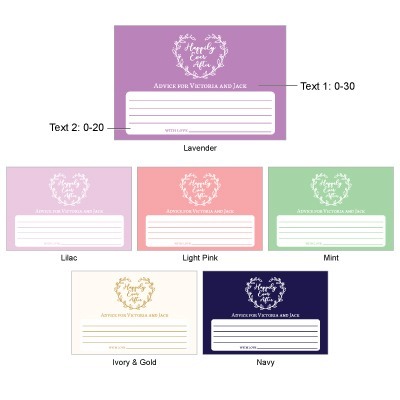 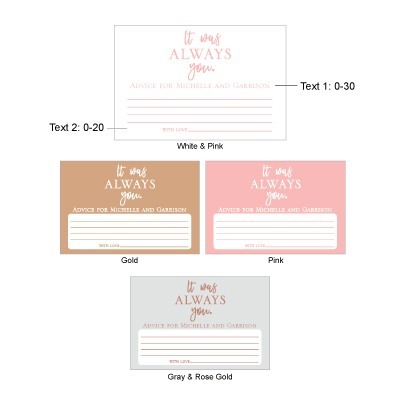 A:Yes, the cards come printed with your personalized text and the text line spaces for your guests to write their notes on. 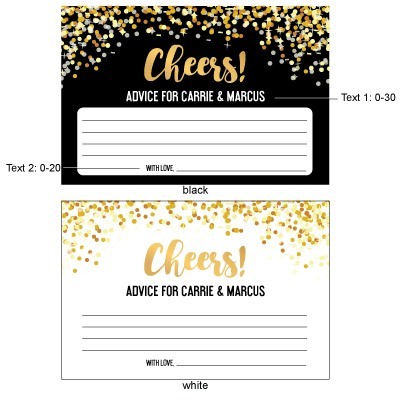 Starting a new chapter in your life is an exciting and sometimes challenging time- so be sure to grab advice from your guests with these personalized wedding advice cards. 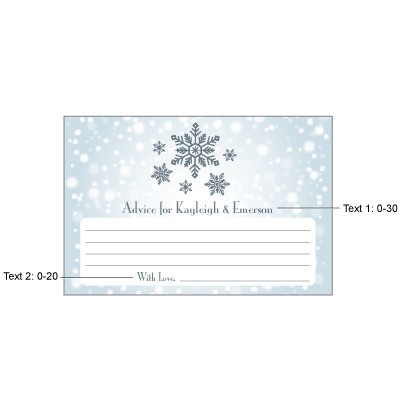 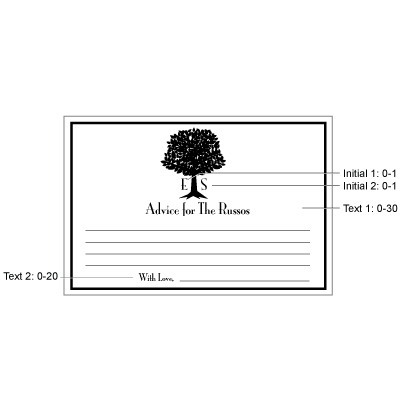 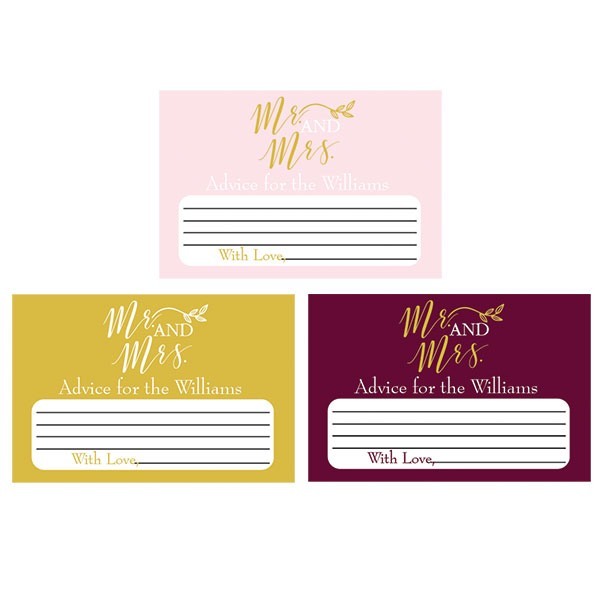 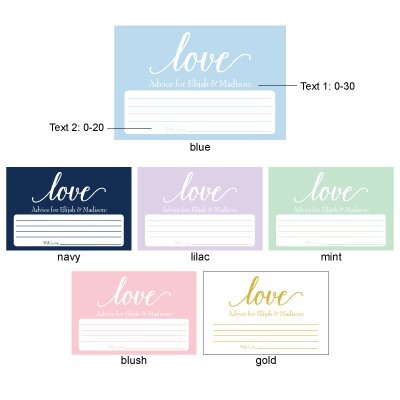 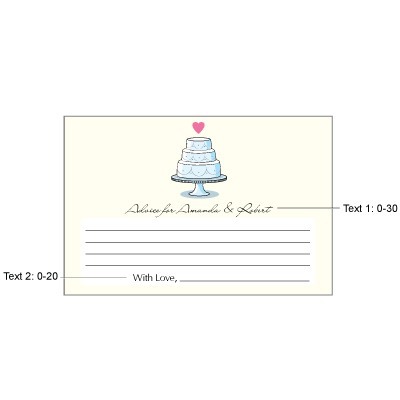 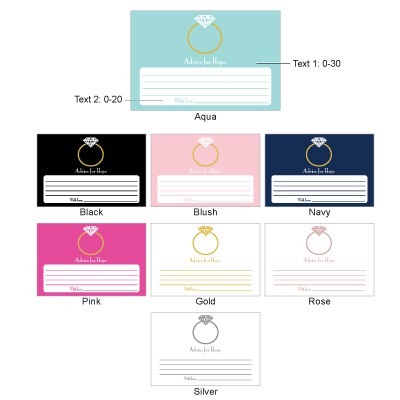 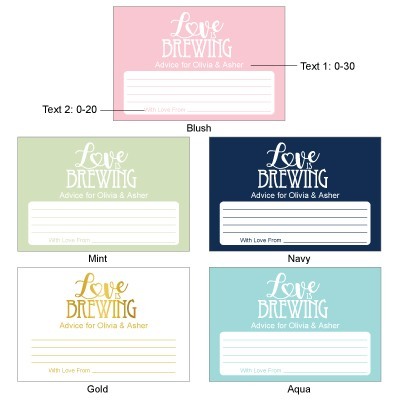 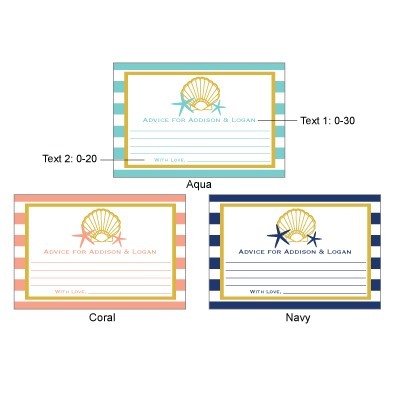 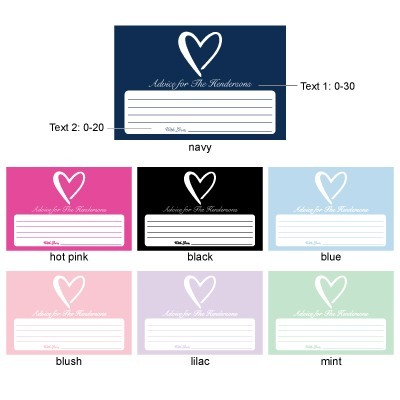 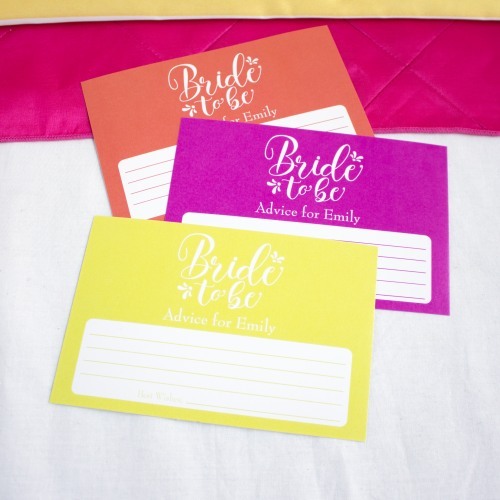 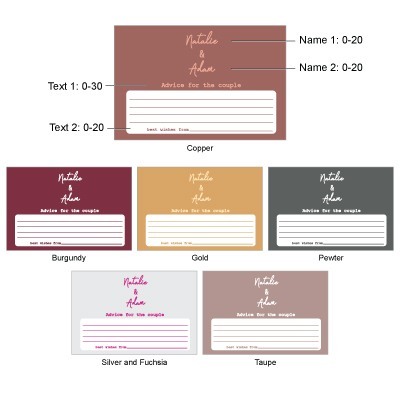 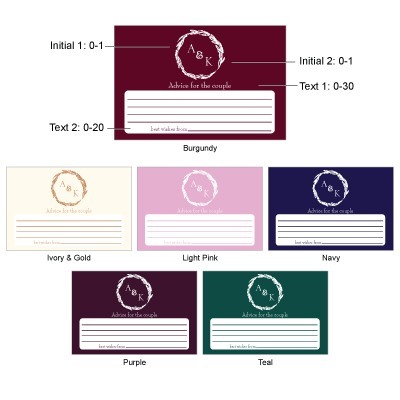 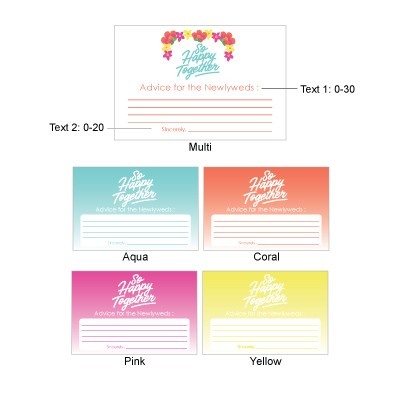 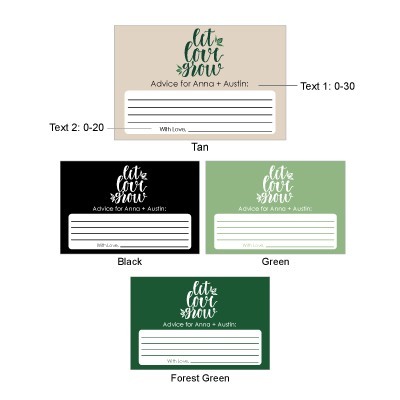 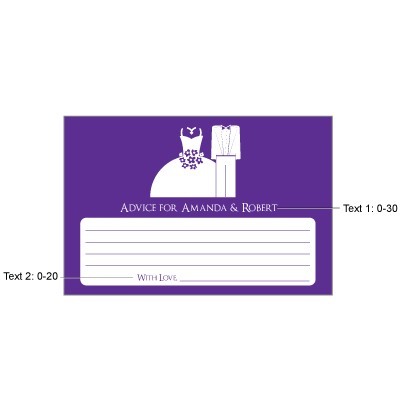 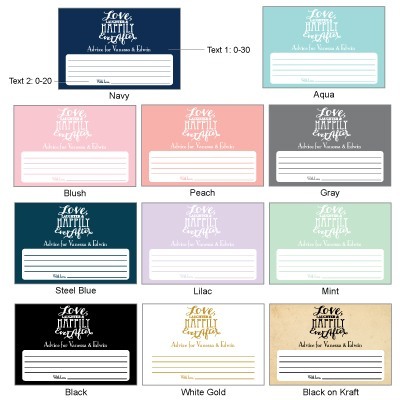 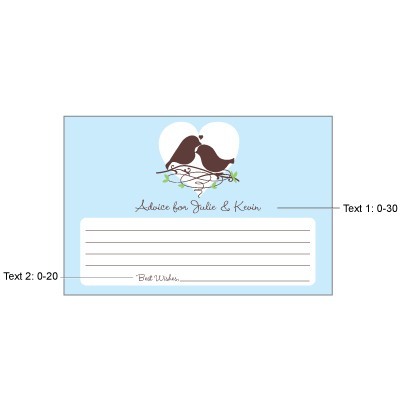 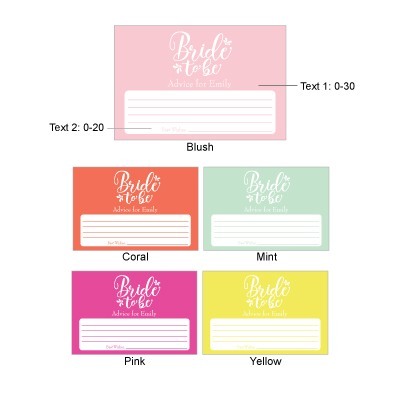 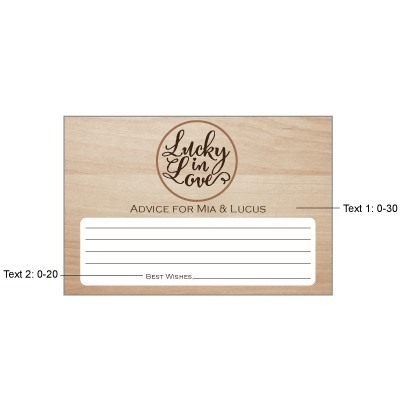 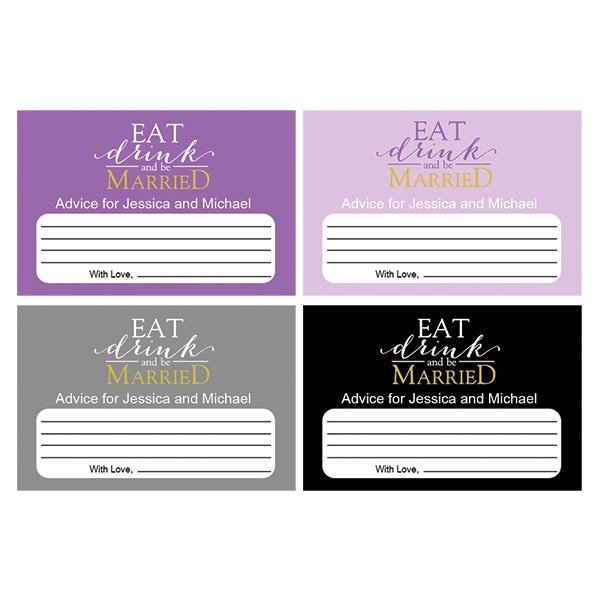 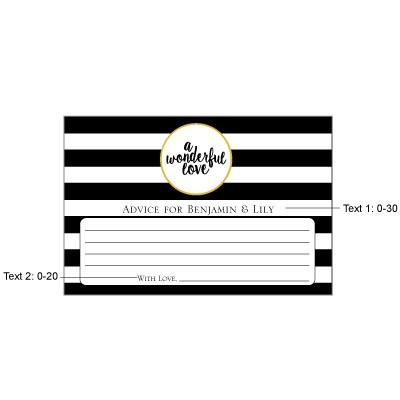 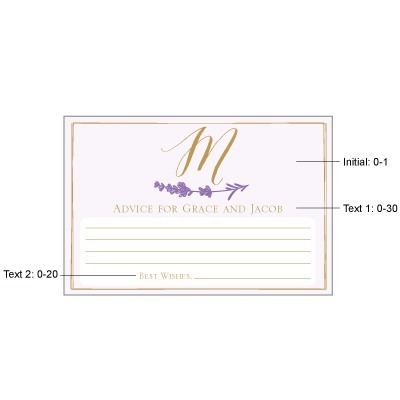 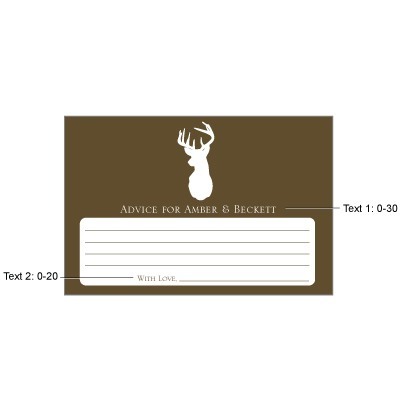 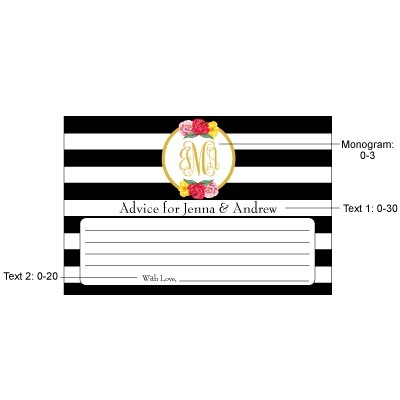 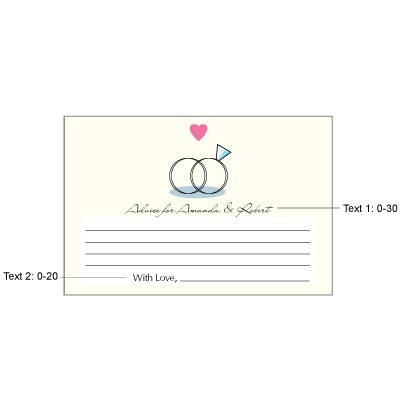 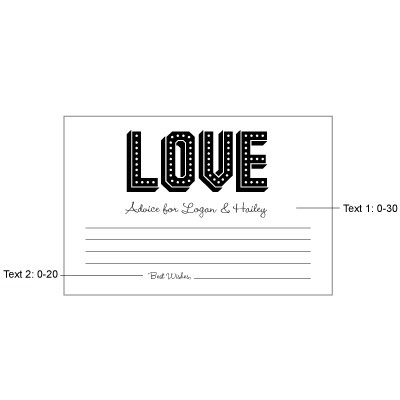 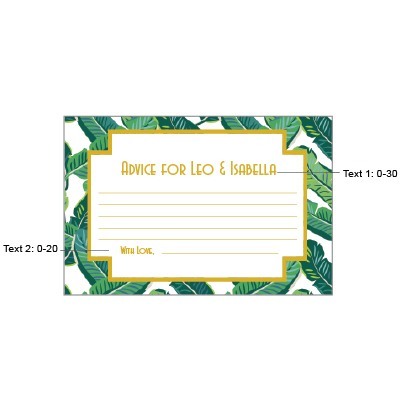 Each 6" x 4" advice card is adorned with your favorite design and personalization on one side and is blank on the other. 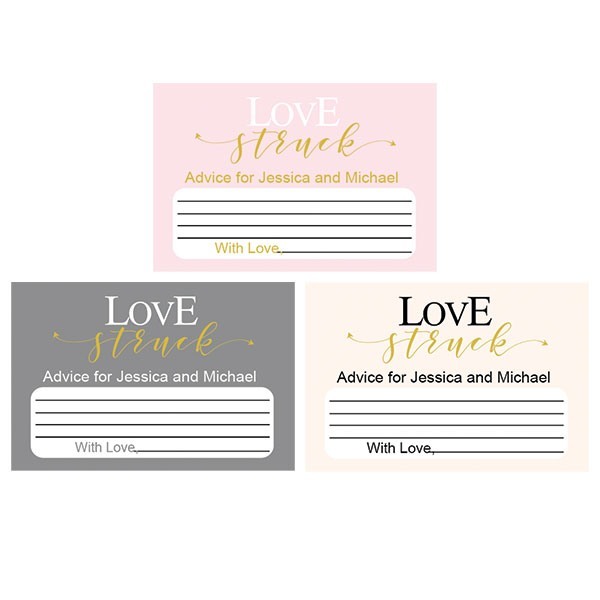 Pair with our personalized wedding pencils and ask guests to write advice, recommendations, or even just a sweet message. 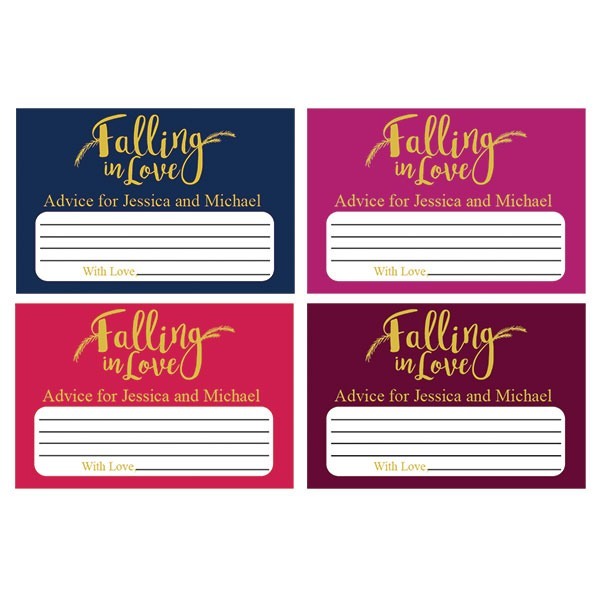 You'll love looking back on these advice cards from your loved ones throughout the years.